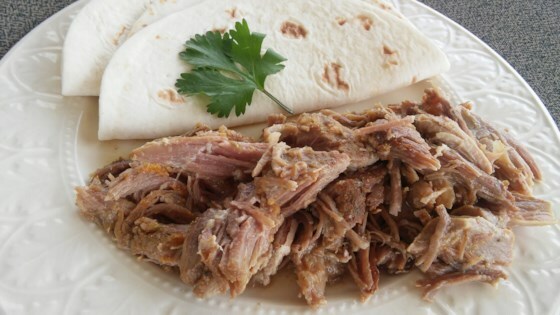 "Carnitas means 'little meats' and is traditionally fried then braised. This recipe is made much easier using the slow cooker but the results are just as tasty. This makes a great filling for tamales, enchiladas, tacos and burritos. This filling is also great combined with your favorite barbecue sauce and served on buns." Make an amazing slow-cooked pork filling for tacos, enchiladas, and burritos.